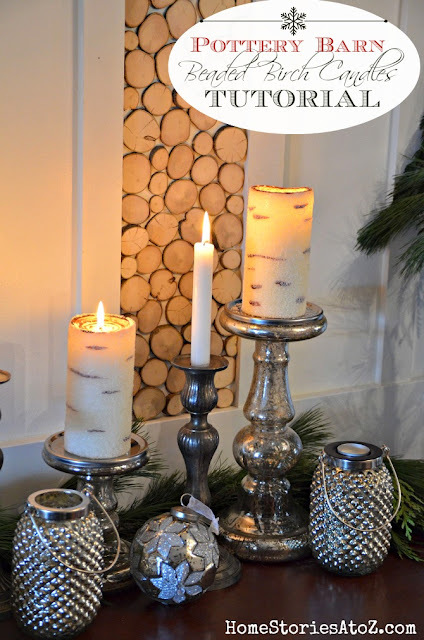 If you love the look of birch tree candles but not the price tag in the Pottery Barn catalog, check out Beth's tutorial for these wintery beaded birch candles. Super easy and a fraction of the cost of buying them. You can check out the painted birch tree candle tutorial over at Home Stories A to Z.